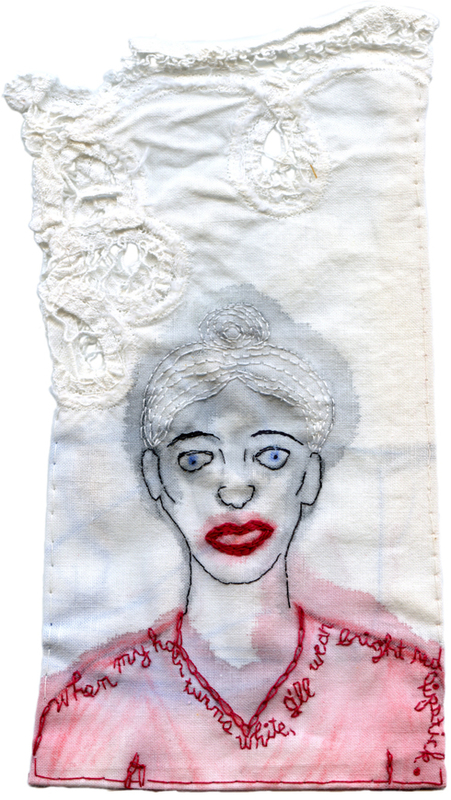 “White Hair.” Embroidery and watercolor. 2013. 8.5″ x 4.5″. In a private collection.